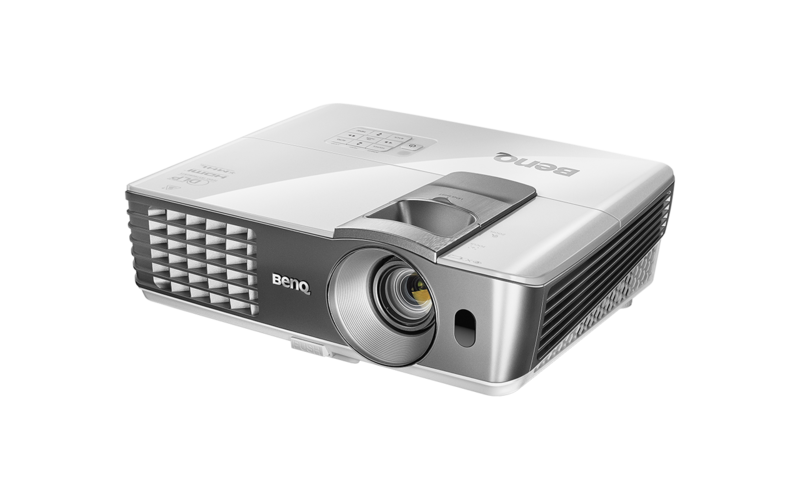 The BenQ W1070+W offers a wireless option for transmitting Full HD signals, removes all bothersome cable clutter and opening up new possibilities for projection. More flexibility is added by the excellent design and the compact measurements. With their help, the BenQ can either be used standing upright oder mounted on the ceiling without disturbing the look of any room. The picture diagonal of up to 235 inch let real dreams of home cinema come true. The zoom optics and lens shift add up to the versatility of the BenQ; the horizontal keystone correction cares for the equalization oft he image even if the projector needs to be used standing upright. The isf-certification for perfect image adjusting and the DarkChip 3 DLP-technology of Texas Instruments, delivering excellent black levels, guarantee optimal images. Together with the light power of 2.200 ANSI lumen this results in brillant images.